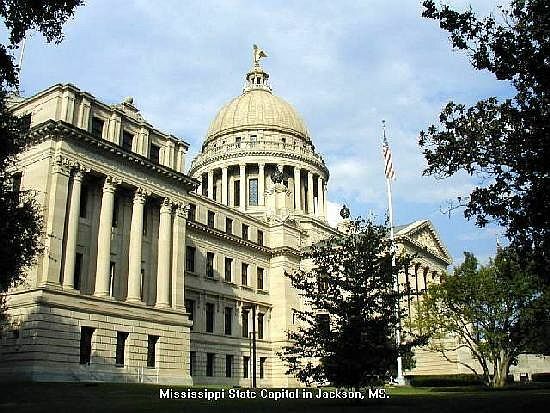 This trip was made to visit Lawson's 91-year-old mother in Jackson, MS. We decided to take the RV and combine a little site seeing with visiting relatives in the Jackson area. 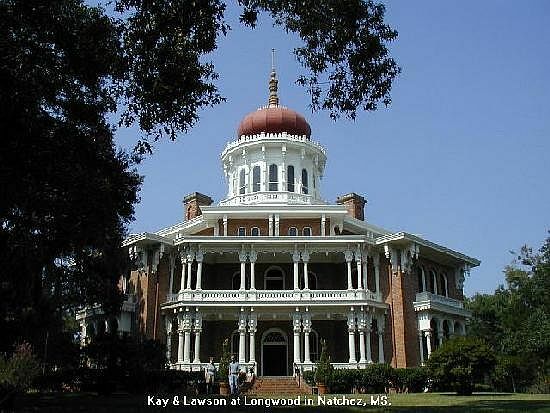 Having passed through Natchez many times in the past but never stopping, we decided that it was time to stop and see some of the old antebellum homes for which Natchez is so famous. In addition to Natchez, we spent some time on this trip exploring Port Gibson and Jackson. We left Richmond Monday, September 9th on US-59 north to Livingston where we stopped to eat lunch. At Livingston, we took US-190 and TX-63 east. In Louisiana, we took LA-8 to Leesville, LA-28 through Alexandria, and US-84 to Vidalia, LA. 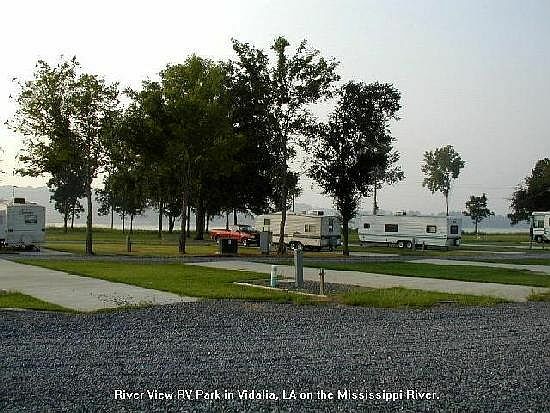 We intended to go to Natchez, MS to spend the night, but we decided to stay at the River View RV Park in Vidalia, located just across the Mississippi River from Natchez. 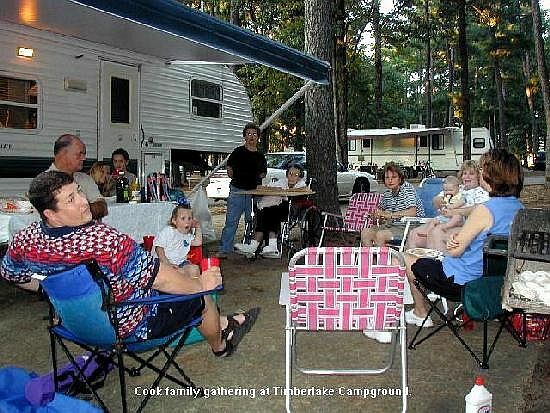 This is a new RV park and the facilities are very nice. Our site had a great view of the Mississippi River. We could see the tug boats and large barges slowly moving up and down the river. Tuesday we went across the river to the Natchez Visitors' Center where we watched a video about Natchez and picked up some information. Afterward, we drove to Natchez Under the Hill which is a block of old buildings located on the river below the main city. After lunch we toured Longwood, a massive 6-story 30,000 sq. ft. octagonal shaped house which was never completed because of the Civil War. Only the basement was finished and occupied by the family. 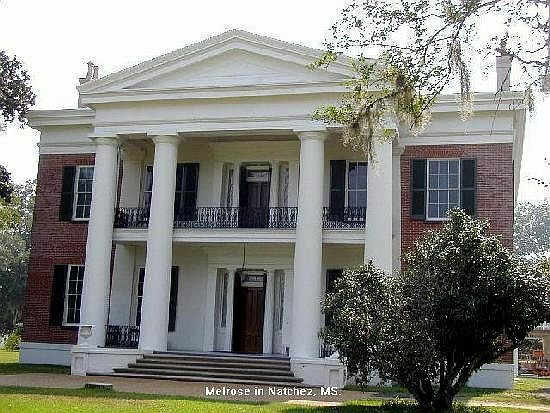 Wednesday morning we toured Melrose, an antebellum house with most of the out buildings still standing. After lunch we visited Stanton Hall, one of the largest antebellum houses at 16,000 sq. ft. It was very elaborately furnished. The guide said that it would cost about $10,000,000 to build today. Next, we drove around town and to the city and national cemeteries. 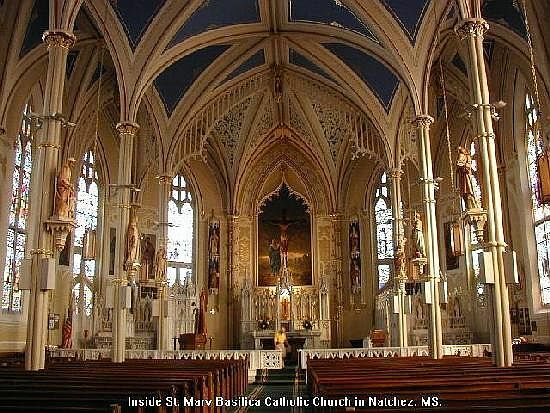 While driving in town we stopped and went into St. Mary Basilica, a very beautiful Catholic church. The painted walls looked as if they had sculptured designs carved on them. There were also ornate stained glass windows and statutes. Thursday we left Natchez and went up the Natchez Trace Parkway to Jackson. 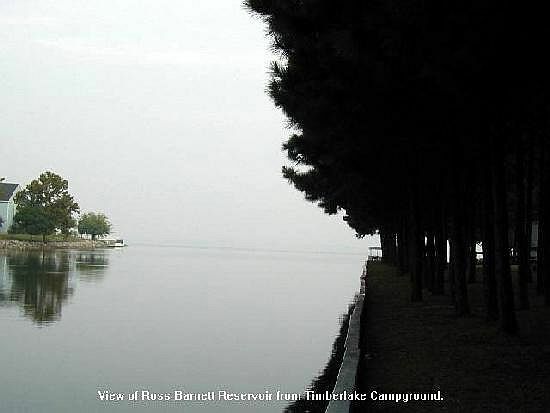 We parked the RV at Timberlake Campground & RV Park on the Ross Barnett Reservoir. This is a nice clean wooded park on the shores of a very large lake. After we got settled in, we went to the nursing home to see Lawson's mother and sister. We spent Friday morning visiting Lawson's mother at the nursing home. After lunch we went to the Visitor's Center and picked up some information. 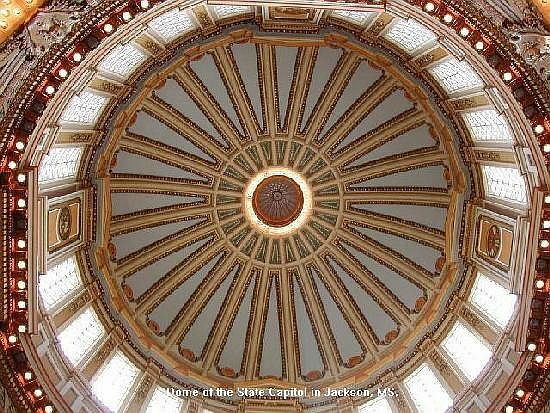 From there we went into Jackson and took a self-guided tour of the state capitol. We drove around the downtown area and then parked and walked around the area. Saturday, we went to see Lawson's mother in the morning. During the first part of the afternoon we got food and the trailer ready for relatives to visit later in the afternoon for supper. Sunday we went to Raymond, MS and went to church with Lawson's sister and her family, and visited until late in the afternoon. On the way back to the RV, we stopped and visited with Lawson's mother. Monday morning we visited Lawson's mother. 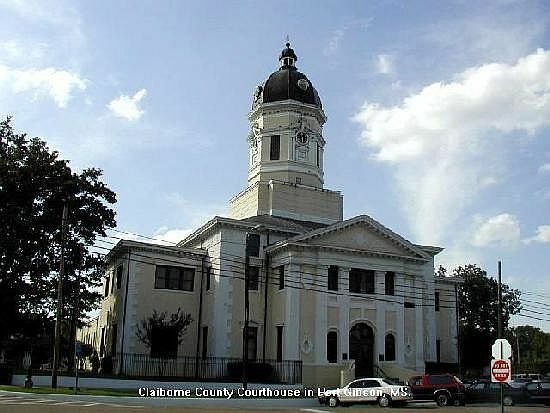 After lunch we went to Canton, MS and toured the buildings used in the movie "A Time to Kill", that was made in Canton. Then we looked around the town square, going into the courthouse and a couple of stores which were in old buildings. One of the stores is now a gift shop, and one is an antique store. 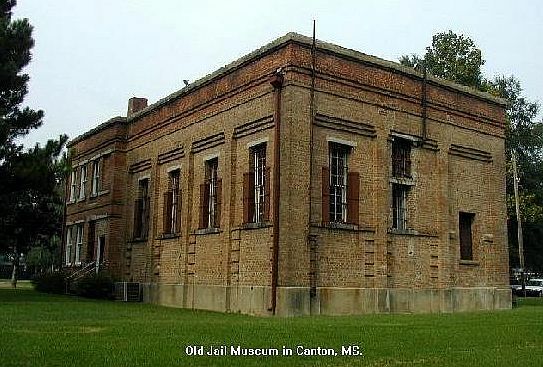 From there, we drove to the old jail museum. We spent some time looking around it and the cemetery next to it. Almost all of the graves were dated in the middle 1800's. We visited relatives and went back to the RV. Tuesday morning we toured the Governor's Mansion. It was very pretty and impressive. It was completed in 1842 and renovated in 1909 and restored in 1971 after substantial deterioration. After lunch we went to visit Lawson's mother and then had supper with Lawson's sister. Wednesday, we departed from the RV park and visited Lawson's mother before leaving town. We went west on I-20 to Vicksburg. Then we took US-61 south. We ate lunch at Grand Gulf, MS on the Mississippi River. 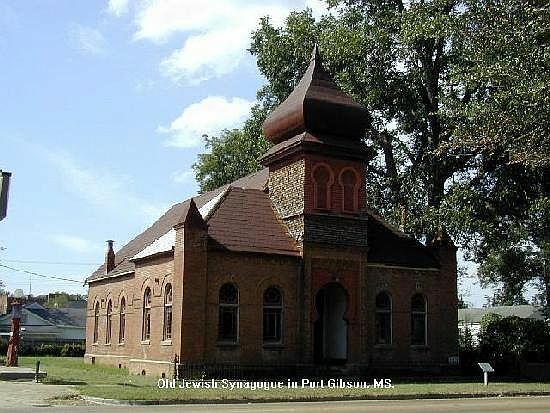 Afterwards, we drove into Port Gibson, MS. The town has many old houses with information plaques in front of most of them. 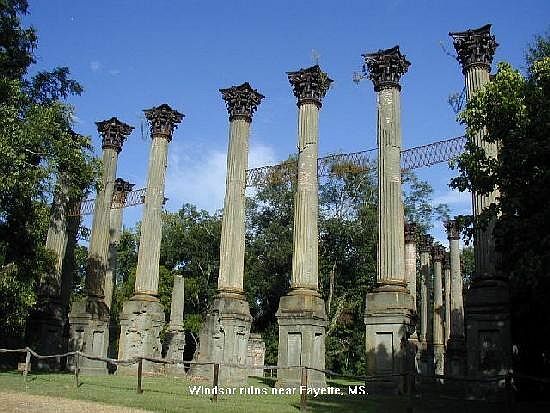 After touring the court house, we drove out of town about 10 miles to Windsor Ruins. Only the massive columns remain of what was at one time a huge 3 story house. 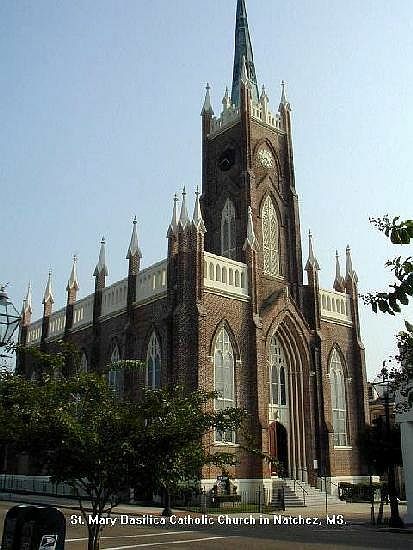 It was finished in 1861 and burned in 1890. 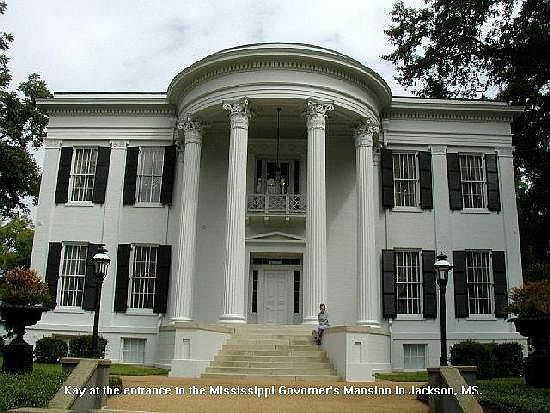 We then drove to Natchez State Park, stopping at Lorman, MS to look at an old building. It had previously been an old general store, but it is now a restaurant and gift shop. Thursday, we left Natchez State Park, backtracking our way through Louisiana and Texas. Just before lunch we stopped at Frogmore Plantation, west of Ferriday, LA. 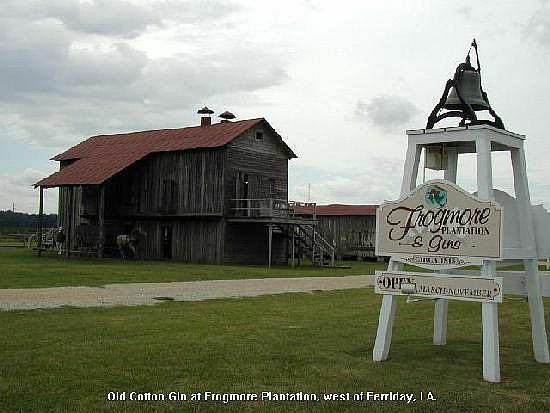 It is a working cotton farm which also has a number of old buildings from the plantation days. We had gone by it many times before but never stopped. We toured the old buildings--cotton gin, barn, slave cabin, overseers dog-trot house, smokehouse. The old cotton gin was especially interesting. We then went down the road to a modern cotton gin where we saw a video about cotton and ginning, listened to a guide talk about the uses of cotton seed and looked around at the machinery. They had not started ginning cotton yet this year. We then continued on to Leesville, LA, where we spent the night. Friday we made our way back to Richmond, TX. This ends our Mississippi Mini-Vacation. We hope you enjoyed the pictures and brief descriptions of our activities. God willing, join us again for another RV adventure soon.